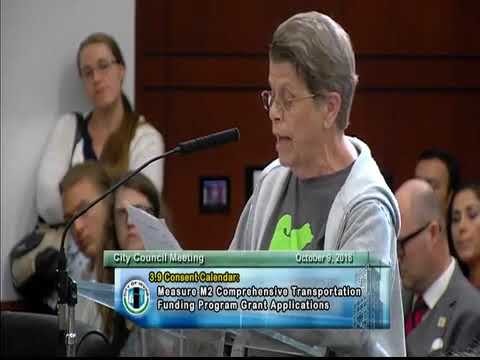 On October 9, 20108, Irvine Watchdog volunteer Susan Sayre, addressed our city council regarding finding solutions to our traffic problems. As our city continues to grow and increase in density, we need a plan for the growing traffic problems and find experts to help come up with solutions. Thank you, Susan, for addressing this important issue! It’s one of the top concerns in our city.